Your anti-TPO antibody levels mean that your thyroid may be functioning sub-optimally. The presence of these antibodies indicates an inflammatory state in your body that needs to be treated. You can focus on certain therapies to help reduce these antibody levels and improve your thyroid function. In this guide, I will walk you through optimal ranges for thyroid lab tests (including thyroid peroxidase antibodies), the complete symptom list for patients with autoimmune thyroiditis and 5 steps to reduce these antibody levels. Anti-TPO antibody levels and ranges - what is considered normal? Normal thyroid lab tests but still have hypothyroid symptoms? What causes anti-TPO levels to increase? In either event, it's important to understand what these antibodies mean for your body. The presence of anti-TPO antibodies in your bloodstream is an indication that you may have an autoimmune condition. In this case, it's an autoimmune condition targeted to your thyroid gland. The presence of anti-TPO antibodies is an indication that your immune system is not working properly. These antibodies represent your body mistaking your thyroid gland as "enemy" tissue and an attempt to destroy that tissue. 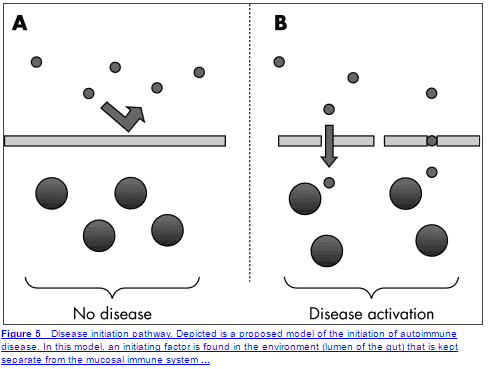 This is what is meant by auto (meaning yourself) and immune (meaning immune system). Obviously, this isn't ideal, and we are going to talk about how to diagnose, manage and treat this condition throughout this article but I want to focus on a couple of other topics before we get there. First, you need to realize that the presence of these antibodies indicates that your immune system is NOT working properly. Autoimmunity is also associated with some degree of inflammation (this varies based on the individual but it is always present). 1) Your thyroid controls multiple functions in your body including your metabolism (1) (Low metabolism leads to weight gain, fatigue, and a low body temperature). 2) Your thyroid helps influence other hormones in your body (low thyroid leads to hormonal imbalances like low progesterone (2)). 3) If this autoimmune condition, if left untreated, can result in permanent damage to your thyroid gland (this also means that not all cases of elevated anti-TPO's need to be treated). 4) Symptoms of autoimmune thyroiditis do not necessarily match regular cases of hypothyroidism (meaning it can be difficult to diagnose). The presence of these antibodies changes management completely due to the reasons provided above. This is actually a good thing because it means that you have a chance to treat the condition and manage some of the symptoms yourself. Bottom line: The presence of anti-TPO's in your bloodstream indicate the presence of autoimmunity and inflammation. This condition should be differentiated from regular hypothyroidism which means that the treatment for this condition is different. The presence of anti-TPO antibodies in your blood is an indication of autoimmune thyroiditis. In a general sense, this means that your body is attacking your own thyroid gland (for reasons we will discuss further below), and the term autoimmune thyroiditis is meant to define this condition as a broad term. The condition you may be familiar with is Hashimoto's thyroiditis which is another form of autoimmune thyroiditis. You can find the full list of autoimmune thyroiditis conditions here. So why does the presence of these antibodies even matter? It turns out that it matters quite a bit. The presence of anti-TPO antibodies changes treatment completely and it means that more must be done to reduce the inflammation and autoimmunity. Unfortunately, many providers, physicians, and endocrinologists take the "wait and see" approach to managing these conditions. Most patients are told to do nothing until their thyroid gland stops functioning well before they are put on thyroid hormone medication. This is unfortunate for many reasons which we will discuss below, but primarily because leaving the inflammation may lead to permanent gland damage over time. This is why many patients with undiagnosed autoimmune thyroiditis need to be on thyroid medication. The constant damage from their own immune system may result in permanent damage to their thyroid gland. The good news is that not all patients with autoimmune thyroiditis need thyroid hormone (as long as they catch the diagnosis early). Treating these conditions can actually IMPROVE thyroid function and reduce your symptoms without taking any thyroid hormone. Bottom line: Determining the difference between hypothyroidism and autoimmune thyroiditis is very important because the treatment is different for both conditions. The presence of autoimmune thyroiditis indicates that other organs and systems in the body are involved and must be treated for best results. Much like the treatment for autoimmune thyroiditis differs from regular hypothyroidism, so do the symptoms of both conditions. Having elevated anti-TPO antibodies is often associated with diffuse and unusual symptoms that don't necessarily correlate with traditional symptoms of hypothyroidism. ​These unusual symptoms often lead patients and providers down the wrong path and make diagnosing autoimmune thyroiditis and Hashimoto's more difficult. To make this easier I've included these non-specific symptoms below. General fatigue or sensation of being "run-down"
Voice hoarseness or sensation of a "swollen throat"
Changes to menstrual cycle including irregular cycle, reduced/increase flow, etc. As you can see these symptoms are very non-specific. As a result, many of these symptoms tend to be ignored (usually by Doctors), leading them to test for non-specific conditions such as anemia. Ultimately many of these symptoms get lumped into the "category" of depression, and many physicians may recommend the use of anti-depressants instead of the correct treatment to manage thyroid function and reduce autoimmunity. If these symptoms are ignored, or proper treatment isn't instituted then these symptoms may evolve into overt symptoms of hypothyroidism. This process largely occurs due to thyroid gland damage. The signs and symptoms above should be a warning that this process is happening and worsening symptoms indicate that the disease may be progressing. While you have glandular damage it's actually possible to have episodes where thyroid hormone pumps into the body due to the damage and may cause symptoms of hyperthyroidism. You can see that at times the TSH is incredibly high indicating a hypothyroid state, which then turns into a very suppressed TSH indicating a state of hyperthyroidism. ​The symptoms between these states differ drastically. While the TSH is high patients may experience the symptoms listed above in addition to the hypothyroid symptoms below. While the TSH is low patients may experience symptoms of hyperthyroidism. I've included a list of these type of symptoms as well to give you an idea ​of what type of symptoms you may be experiencing when hyperthyroid. 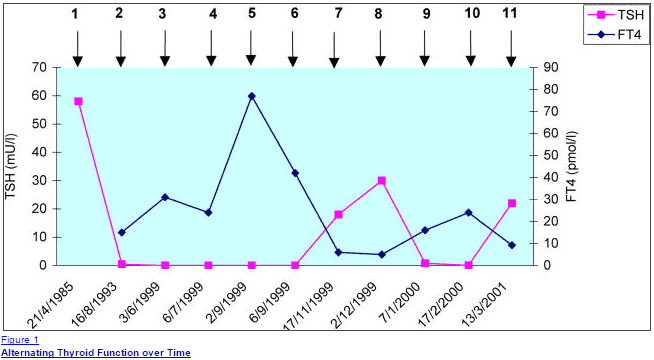 Remember that this episodic pattern can be missed unless you happen to check the TSH at the time you are symptomatic. These alternating symptoms of generalized non-specific symptoms, combined with episodic symptoms of hyperthyroidism make the diagnosis difficult to manage. It's important to realize that these type of symptoms do NOT occur in standard hypothyroid patients, making these symptoms important for both patient and physician to identify. The presence of these symptoms should be a warning sign to look at antithyroid antibodies like anti-TPO. But these aren't all the symptoms that patients with autoimmune thyroiditis may experience. In addition to these patients may also develop symptoms of overt hypothyroidism (the more traditional symptoms). ​Note that the presence of these findings usually represent that the disease has been around for some time and may have progressed. ​The important part is to identify the presence of these symptoms and then seek treatment which we will go over further below. Bottom line: Symptoms of elevated anti-TPO antibodies may range from generalized and very non-specific, to episodic symptoms of hyperthyroidism. Over time these symptoms may progress to generalized hypothyroid symptoms as gland damage occurs. "Are my lab tests normal?" Believe it or not, it's actually pretty easy to determine if your labs are normal vs abnormal and I will walk you through it. The first thing you need to realize is that there is a big difference between "optimal" and "normal". 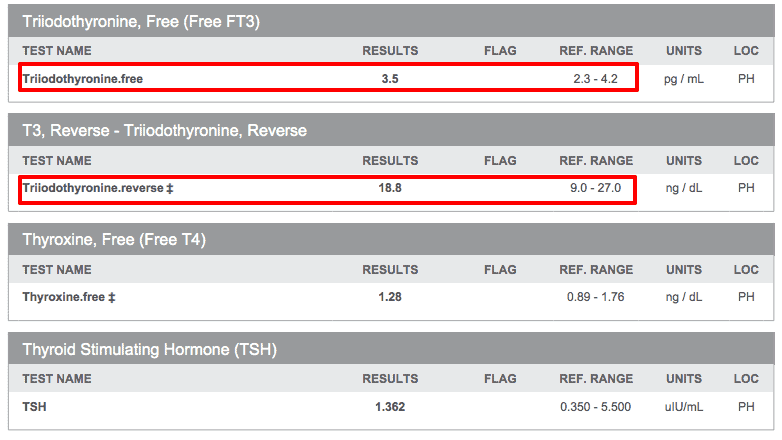 When you are evaluating your thyroid lab tests you want to look at the "optimal" lab values that I will be discussing. These values will most likely differ from the "normal" ranges that your general physician will use when determining if your lab tests are indeed normal. This results in much confusion among patients which leads them here to ask me if their tests are normal. They tend to get conflicting information so let's set the record straight. First, let's talk about your thyroid peroxidase antibody levels (AKA anti-TPO levels). The presence of these antibodies is not normal and indicates a problem. In some cases the presence and significance of anti-TPO antibodies (like in pregnancy (6)) are unclear, but one thing is for certain - it is not normal. In the example above the presence of anti-TPO antibodies indicated a higher risk of pregnancy complications and mental health issues later in life, but didn't necessarily correlate with thyroid function. If you have the symptoms I have listed above plus you also have abnormal thyroid lab tests or elevated TPO antibodies then you definitely have abnormal thyroid lab tests. In this example, you can clearly see that the result is very abnormal. The result is 1317 with a standard reference range of less than 6. This is a classic example of a patient with elevated anti-TPO antibodies and a poorly functioning thyroid. You can also see her corresponding TSH which is obviously abnormal as well. In this example, a TSH of 7.024 and an anti-TPO level of 1317 confirms that her thyroid is indeed abnormal. Unfortunately, not all cases are as straightforward as this, which is why I will go over the other optimal thyroid lab studies below and help explain why you may have "normal" thyroid lab tests but still be symptomatic. Bottom line: The presence of elevated anti-TPO antibodies is always a problem. In the presence of the symptoms listed above then it is an early sign of thyroid dysfunction and should be treated aggressively. This idea of "optimal" thyroid lab tests extends beyond just anti-TPO levels. Unless you evaluate your thyroid lab tests entirely and with the "optimal" levels in mind, you will end up undertreated and may remain symptomatic. Part of this problem is due to the reliance upon the TSH as the de-facto lab test to determine thyroid function. Give Levothyroxine or Synthroid to the patient and monitor the TSH to "normal" levels. It turns out that thyroid hormone management is not quite that simple and several studies have shown that treating based on the TSH ultimately leads to low levels of T3, r﻿educed quality of life and weight gain due to a slower metabolism (7). When you look at all the data out there and our current treatment paradigm it's easy to see why many hypothyroid patients go under-treated and misdiagnosed. Because of these reasons, it's very important to have a basic understanding of what defines "optimal" thyroid lab tests and use these values to determine the need for further management (and to determine if your tests are indeed "normal"). ​Part of the problem with diagnosing hypothyroidism is due to the body's amazing ability to preserve serum thyroid levels under situations of extreme stress. In addition, when it comes to hormones and serum levels, very small changes in blood levels can mean drastic changes in terms of function which results in symptoms in patients. Combining these two ​factors it's easy to see why reliance upon one test (generally the TSH) is a recipe for misdiagnosis when treating hypothyroid patients. ​Here is an example of a set of lab tests that were considered "normal" but in reality are very suboptimal. This patient also presented with hypothyroid symptoms including weight gain, fatigue, a slow metabolism, and hair loss. You can easily see that all of these thyroid lab values fall within the "normal" range, but when you compare her to the "optimal" levels provided above you get a completely different picture. Her Free T4 is low at ​1.28 and her reverse T3 is quite high at 18.8. This pattern is classic for what is known as low T3 syndrome or non-thyroidal illness and it is well recognized even by conventional medical sources (even though most endocrinologists and PCP's are not willing to treat it). I've provided an image copy from emedicine.com which outlines the need to evaluate all of these lab tests and even shows that T3 levels can help in diagnosing certain patients with Hashimoto's by identifying this pattern. Unfortunately despite the fact that this condition is well recognized in patients with high levels of anti-TPO antibodies not much is done by physicians to treat it, and even fewer physicians are even willing to order the right tests. Because of this, it is very important to find physicians who are knowledgeable about these thyroid lab tests, willing to order them and willing to treat them if present. I've written about the connection between low T3 and weight gain and how to properly address the condition previously. Not only will high levels of anti-TPO antibodies damage your thyroid, but it also is important to identify because the presence of this autoimmune disease increases your risk of developing other autoimmune diseases. Studies have shown that patients with Hashimoto's and autoimmune thyroiditis conditions have a very large increase of developing other diseases like Celiac disease (8), type I diabetes mellitus, pernicious anemia and even adrenal insufficiency. For this reason, the early detection of thyroidal antibodies becomes very important. Treating and reducing the immune and inflammatory component to this disease can help reduce the risk of developing these other autoimmune diseases. The presence of TPO antibodies in your blood should prompt your physician to order other tests to evaluate your autoimmune status. This is particularly important in the case of Celiac disease which is so often undiagnosed and underappreciated (much like thyroid disease!). Below I've included an example of a patient of mine who had elevated anti-TPO antibodies on initial testing (along with other abnormal thyroid tests) and further evaluation of her antibodies to gluten revealed she also had antibodies to the gluten protein. You can see above the high titers to tissue transglutaminase (9) and gliadin antibody, both of which can be markers of the condition Celiac disease. It's always very important to identify the gluten sensitivity in patients because the removal of ﻿gluten can be curative (10) in this autoimmune disease (which can't necessarily be said for other autoimmune diseases). It's also been shown that there is a strong connection between the GI tract, immune system (11), and even the thyroid (12). The presence of gluten in the diet sparks an inflammatory state (13) which may weaken the immune system and further reduce thyroid function (14). Luckily, as long as it is identified, the removal of gluten is enough to drastically improve this process. Now that you have an understanding of why your anti-TPO levels are important, we need to talk about what causes them to increase. This is an important step because, as you might recall from earlier in this post, the immune and inflammatory component is treatable. So if we can target the cause of the increase in these antibodies we might be able to actually lower them and then improve your condition overall. It turns out that the cause of elevated TPO antibodies in each person will likely be different and will require some degree of "digging". The first is low levels of Vitamin D.
Studies have shown there is a link between l﻿ow levels of vitamin D (15) and the development of Hashimoto's thyroiditis. 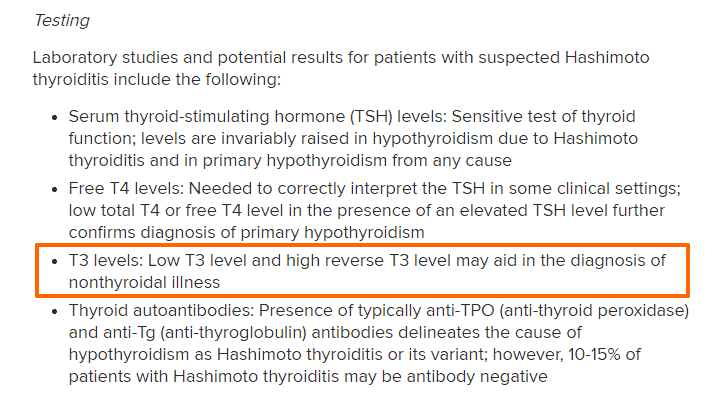 Recall that Hashimoto's is a form of autoimmune thyroiditis and elevated anti-TPO antibodies indicate this condition is present. These studies show that the lower the Vitamin D is the longer and worse the symptoms of Hashimoto's become, the worse thyroid function becomes and the higher antibodies raise. his likely has to do with the effects that Vitamin D has on the immune system (16). Autoimmune conditions represent a problem in the way that your immune system understands what is "good" and what is "bad". When this system is off balance your body may create antibodies against its own tissue which results in various symptoms. Increasing Vitamin D may be one of many ways to increase thyroid function and reduce both the autoimmunity and inflammation in autoimmune thyroiditis. As I mentioned previously the gut has a strong influence on your immune system. When diseases cause intestinal issues or inflammation it disrupts the tight junctions in the GI tract which are supposed to shield your body from break down products from food, bacteria, etc. Poor diet, high stress, and nutrient deficiencies can weaken this protective membrane in the GI tract and lead to a condition known as increased ﻿﻿inte﻿﻿stinal permeability (17). Increased intestinal permeability leads absorption of food products, bacteria, etc. that shouldn't be absorbed into the bloodstream. This image depicts what should be happening to a healthy intestinal membrane which blocks the absorption of everything but nutrients. When this membrane is damaged you can see particles passing through the membrane and triggering disease states. This whole process and condition are what is known as "leaky gut". Once the abnormal particles are absorbed they can trigger autoimmune conditions through a process called molecular mimicry (18). ​What happens is that some of these food particles look very similar to parts of your body. Your immune system creates antibodies to these particles which then cross-react with some of your own tissues leading to autoimmune disease. This effect is frequent enough that it may be the underlying cause (19) in MANY cases of Hashimoto's and autoimmune thyroiditis. ​What you need to understand is that various factors influence this protective barrier. High levels of stress, a diet high in processed foods, gluten sensitivity and a lack of nutrients have all been shown to reduce the effectiveness of this barrier which may trigger high anti-TPO levels. Generalized inflammation is bad for many reasons, but in this section, I want to focus on GI inflammation. ​You already know and understand the important role that the GI tract plays in immunity, but what you may not know is its role in thyroid function in general. ​Inflammation in the gut leads to reduced T4 to T3 conversion, reduced absorption of nutrients and may predispose to conditions that can then trigger increased intestinal permeability (AKA leaky gut). For these reasons, it's important to identify and treat any GI related problems that may be present in your body. Basically, if you are not having bowel movements regularly and if you have any of the symptoms or conditions listed above then you may be at risk. ​Treating and reducing these inflammatory conditions will be necessary to reduce your risk and treat your antibody levels. ​Diet has been shown to influence both the immune system and inflammatory levels. Diets high in processed foods (and industrial seed oils) have been shown to directly alter your immune system and predispose certain patients to developing autoimmune diseases (20). 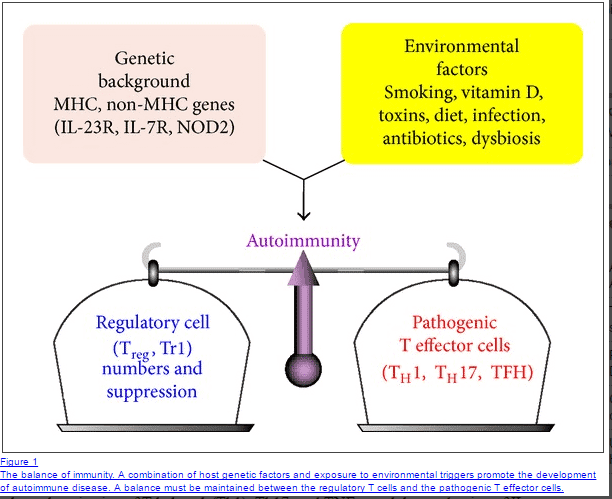 In certain individuals (those with certain genetics) changes in diet can actually trigger autoimmunity all by itself. Environmental factors like stress, poor, diet and nutrient deficiencies can actually alter your genes and shift the immune balance over towards autoimmunity (21). It's been shown that up to 80% of patients report ﻿high levels of emotional stress prior to the onset of autoimmune disease (22) (all types but especially Hashimoto's). This is also confirmed in my own personal patient base in which I have seen the same thing. For most cases of Hashimoto's and autoimmune thyroiditis, there is a triggering event related to a stressful situation. This stress can be emotional, physical, traumatic, etc. The death of a loved one, a particularly difficult breakup or divorce, pregnancy, medical illness in loved ones, etc. may all qualify as triggering events. It's important to realize that stress likely influences other factors which predispose the body to develop autoimmune disease, so mitigating stress levels is critical to lowering antibody levels. So what are you supposed to do if you have high anti-TPO antibody levels? It turns out that there are several things you can do to lower these antibody levels. The treatment is especially important ​because your physician may take the "wait and see" approach to treatment. Basically many doctors may not even try to treat your antibody levels until they have caused glandular damage and thyroid hormone replacement is required. Luckily there are several therapies that you can do (some on your own) to help reduce inflammation and ​autoimmunity. Note: for best results, it's wise to use a combination of these therapies and stack them together. If you take just 1-2 supplements, for instance, you will be limiting your progress. We've already discussed how certain nutrient deficiencies (low levels of vitamin​ D) can predispose to developing autoimmune diseases. This should give you an idea of the importance of nutrients and supplements in treating these conditions. Z﻿﻿﻿inc citrate/picolinate: Zinc has been shown to reduce inflammation, boost T4 to T3 conversion (23) and act as an anti-inflammatory agent in the body. Couple this with the fact that many patients are zinc deficient and zinc supplementation becomes a no-brainer for hypothyroid patients. Use Zinc in combination with Selenium. Selenium bound to methionine: Selenium also acts as an anti-inflammatory agent and can boost T4 to T3 conversion. In addition, it has also been shown to reduce TPO antibodies in some patients with Hashimoto's (24). The combination of zinc + selenium is particularly potent and I generally recommend using both simultaneously. Make sure that you use 50-150mcg of selenium each day and avoid using doses in excess of 400mcg per day to prevent toxicity. High-quality multi-strain and multispecies probiotics: Probiotics can help reduce inflammation in the GI tract and help repopulate the GI tract with anti-inflammatory bacteria to help promote T4 to T3 conversion. Probiotics should be considered standard therapy in patients with high TPO antibodies. Use probiotics daily (both with meals and in between meals) for 6 months for best results. Vitamin D3/K2 combo: Replacing low Vitamin D levels can help promote immunity. But make sure not to take Vitamin D3 without vitamin K2. The balance between these two fat-soluble vitamins is necessary for best results. Aim for a Vitamin D level in the mid-range and supplement as necessary (usually 2,000-5,000 IU's per day). Liquid Iron: Iron is required for proper thyroid hormone function and low levels should be replaced to optimal levels. High iron levels can cause problems, however, so read this guide to determine if your iron levels are "optimal". Magnesium glycinate: Studies show that the hypothyroid state causes your kidneys to excrete more magnesium which makes many hypothyroid patients magnesium deficient. Replacing magnesium levels can help improve thyroid function, improve your mood, reduce muscle/cramps and increase energy levels. Iodine: Iodine is required for proper thyroid hormone production. Using the combination of iodine + selenium can help improve thyroid hormone production and may help reduce the symptoms of hypothyroidism. Make sure to start out with a low dose and combine it with selenium. Some patients may react negatively to iodine so monitor your symptoms closely. You can also check out a more detailed guide on which supplements to take if you are hypothyroid here and which supplements to take if you have Hashimoto's here. In addition to using supplements, there are some medications that can be used to help reduce inflammation. The medication I am referring to here is known as Low dose naltrexone. Through largely unknown mechanisms LDN, has been shown to reduce inflammatory states (25) and can be used as a novel anti-inflammatory medication. Some studies have shown that LDN may result in remission of some autoimmune diseases (26). ​It should be pointed out that LDN does not work for every person. For this reason, it's helpful to at least consider a trial of the medication, especially in patients who have multiple autoimmune conditions, weight loss resistance and/or elevated anti-TPO antibodies. In my experience, roughly 30-50% of patients obtain significant benefit by using LDN. Fortunately, even for those that use it and don't get any noticeable benefit at least, there is no harm in using the medication. I've successfully used LDN in the past in patients with weight loss resistance and Hashimoto's, you can read case studies here. Believe it or not certain hormones in your body are necessary for proper immune function. The hormones I want to focus on today are the androgens. As you may know, women tend to get autoimmune diseases more frequently than men do. Part of the reason for this discrepancy between the sexes is felt to be due to testosterone levels in women vs men. Higher testosterone levels have been felt to be somewhat protective against the development of autoimmune diseases. In addition, studies have shown that testosterone replacement (27) therapy has a positive effect on several a﻿﻿utoimmune diseases (28). What is interesting from my point of view is that almost every patient I treat who has high thyroid peroxidase antibodies also has a corresponding low testosterone level. Some of this may be due to thyroid hormone and its effects on testosterone levels, but I have also noted improvement in autoimmune diseases with testosterone replacement. 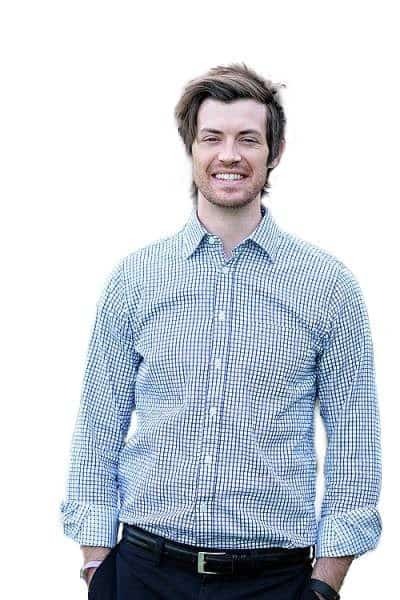 Free and total Testosterone: If your levels fall within the bottom 50th percentile of the reference range then you might consider testosterone replacement therapy. You can read more about how to use testosterone cream here, you can also find symptoms of low testosterone in this post as well. DHEA (29): DHEA is a precursor hormone to testosterone and estrogen, but still classifies as an androgen in the body. DHEA is also involved with the immune system and low DHEA levels may predispose certain patients to develop autoimmune diseases. Unlike testosterone, DHEA is available over the counter and can be supplemented with. Be careful when supplementing with DHEA, though, as it can potentially turn into estrogen metabolites. Start with 25mg every other 1-2 days as tolerated (make sure it comes in micronized form to promote absorption). We've already discussed the importance of diet and how it impacts inflammatory levels and the immune system. In this section, I just want to provide you with several diets that you should consider if you have elevated TPO levels. ​Changing your diet should really be one of the first steps you take. Changing your diet is something that you are in control of and it can have a huge impact on your status overall. Other factors are not in your control: what thyroid medication you take, your dose, etc. Because of this, it's important to take advantage of the variables that you can. Gluten-free + dairy free: We've already discussed how gluten can impact immunity and removing gluten (even if you are gluten antibody negative) has the potential for helping your considerably. Dairy is removed because many people cross-react to both gluten and dairy. Paleo diet: The paleo diet is a great starting point as well. There are many guides and recipes online that can help get you started. The only potential issue with the paleo diet is the relatively limited amount of carbs that it allows. Some alterations of your carbohydrate intake may be necessary if you start on the paleo diet. Autoimmune protocol: The AIP diet is a more restrictive form of the paleo diet and removes other food groups like nightshades. Because this diet is more restrictive than the others I generally don't recommend patients start here unless they have multiple autoimmune diseases. You can read more about how to pick the best diet for you if you have Hashimoto's in this detailed post. Endocrine disruptors refer to various chemical compounds that get absorbed into your body and may interact with hormone functions. Unfortunately, endocrine disruptors are very common nowadays and are found in various forms of plastics, containers, and even on receipts. These chemicals can be absorbed through your skin, get into your bloodstream and impact thyroid function. Endocrine disruptors (EDC's) have been shown to lower free T3 levels without having an impact on the TSH (30). Actively avoiding these chemicals is necessary if you want to improve your thyroid function. ​Following these simple steps is an easy way to avoid these chemicals. For some patients, it may be necessary to detox these chemicals more actively because they can be stored in the fat (we will discuss this concept in another post). The presence of anti-TPO antibodies is never a normal sign. The presence of these antibodies combined with hypothyroid symptoms may indicate autoimmune thyroiditis. If you are experiencing hypothyroid like symptoms then you should have a complete thyroid lab panel checked which includes antithyroid antibodies. Due to the various issues with diagnosing and managing thyroid abnormalities, it will be important for you to have a basic understanding of how to diagnose and manage your condition. Because autoimmune thyroiditis indicates both an inflammatory and autoimmune condition, it is treated differently from hypothyroidism. For best results, patients should focus on a combination of supplements, diet, stress reduction and hormone replacement to reduce this inflammatory state. Doing this early may help to preserve thyroid function long term. Are your TPO antibodies elevated? Are experiencing any of the symptoms of hypothyroidism or hyperthyroidism?